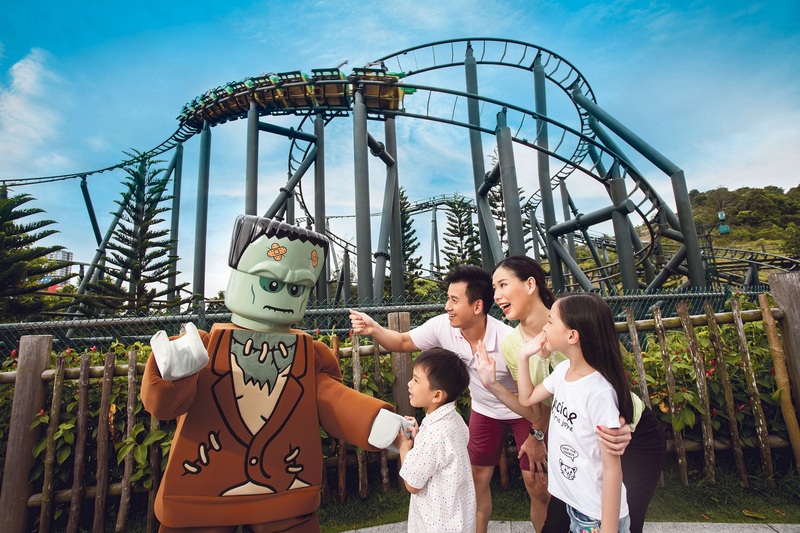 If the haunted houses over at Universal Studios Singapore’s Halloween Horror Nights 8 is too much for your young ones or your younger siblings to handle, you might want to check out the LEGOLAND park just across the border in Johor this October. 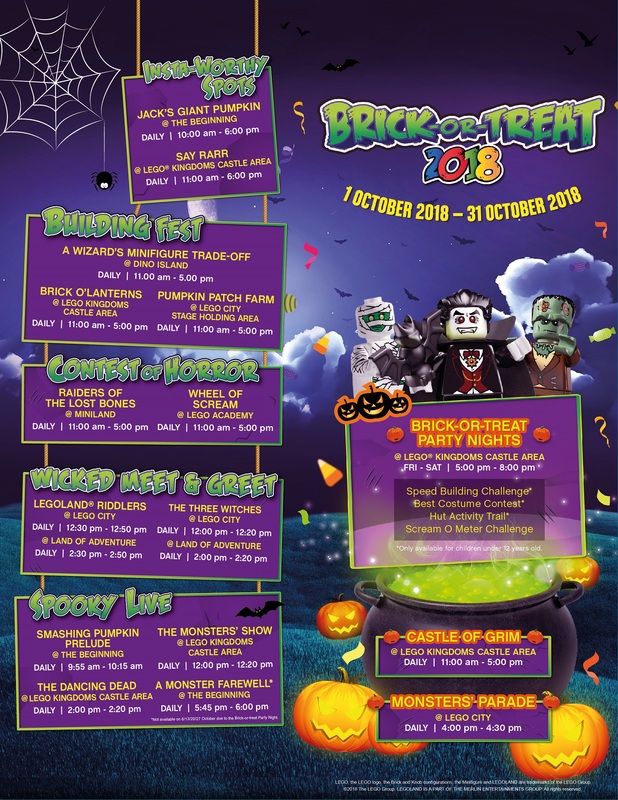 LEGOLAND Malaysia is also prepping for Halloween with a Brick-Or-Treat Festival for this year’s Halloween! Friendly ghosts in life-size LEGO creations will take over the park, and won’t scare the beejeezus out of your little ones too badly (we hope). Is it just us or is this Frankenstein kind of cute? The entire park will be transformed every Friday and Saturday night for the Brick-Or-Treat Party Night, with the Castle of Grim casting a foreboding shadow across the park and a parade of Monsters for the young ones to coo over. If you missed the parade, there’s also a Smashing Pumpkin Prelude with performances with The Dancing Dead and The Monster’s Show. Other spooky treats activities to look forward to are the witches and Vampyres roaming around the park. The highlight of the park is seeing giant LEGO figures and sculptures, and you’ll be seeing plenty of spooky things. Spot LEGO ghoulies floating around the park, or snap photos with the huge LEGO model of Jack’s Giant Pumpkin and the “Say Rarr” Globe Photobooth. Plus other things to look out for! 90% of the fun at Halloween comes from dressing up, so go all out partying it up your kids! 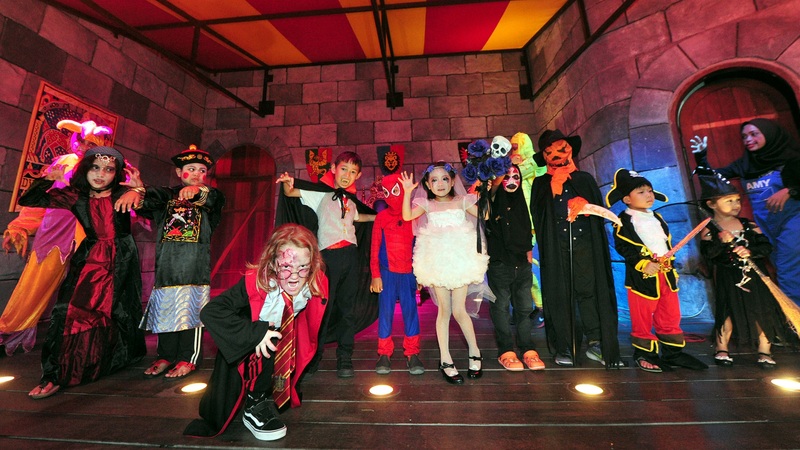 All kids aged 3 to 11 get free entry if they visit the park in full Halloween costumes from today until 30th October. You might as well join in the fun and get matching costumes for the #squad photos with the little monsters (pun intended). If you’re confident enough, enter the Children’s Halloween Costume Contest to win awesome prizes! There are various activities and challenges peppered around the park for you to pit your brains against! The Hut Activity Trail will test your problem-solving skills while the Speed Building Challenge is all about imagination and innovation, and you can win up to RM500 (about $165) worth of prizes! Try your luck at the Wheel-Of-Scream, or add to your collection of LEGO with the Halloween’s Limited Edition DUPLO Commemorative Bricks by taking on the Raiders of the Lost Bones Challenge. If you’re a LEGO Minifigures collector, you can bring along your figurines to trade for other harder to find collectibles! 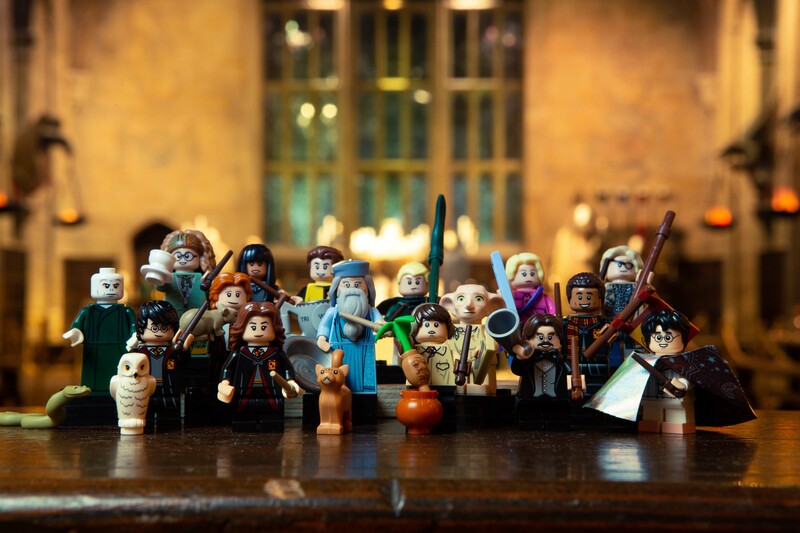 Who knows, you might even get your hands on a limited edition Harry Potter and Fantastic Beasts LEGO Minifigures. For every Friday and Saturday, you can get a special admission ticket just RM88 (about SGD$30), compared to a normal park ticket which costs from RM120 to RM150 (SGD$40~50). If you’ve got a Premium Pass Holders, you can even bring in a friend for FREE! Drive there in your own car, which will take about 1 hour to 1.5 hours one way. During holidays and peak periods, expect the ride to take up to 3 hours one way. You can also get a direct coach transfer from the Singapore Flyer or BigBox Jurong East, and you purchase return tickets from the WTS travel website together with your park entrance tickets. If you insist on taking public transport, you can take a public bus and you can check the public bus routes here.